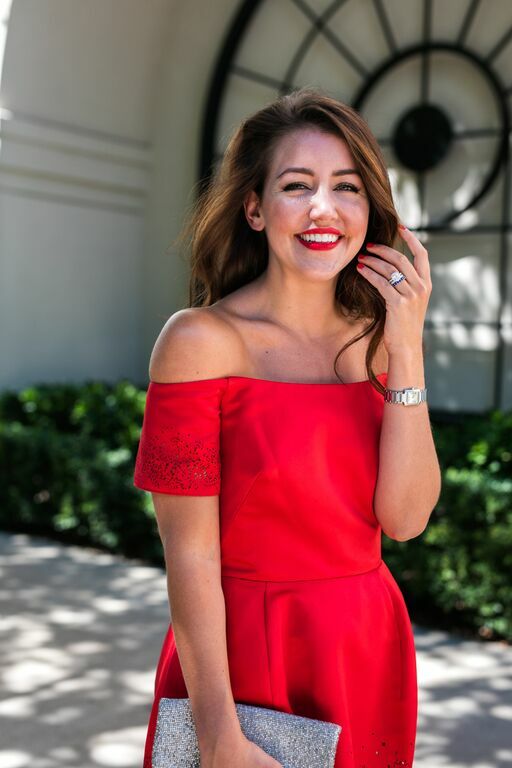 A visit two weeks ago from Amy Havins to the D office caused more than one employee to say, “Where do I know her from?” The answer: Dallas Wardrobe, a wildly popular blog that, even if you’re not an active follower, you’ve probably seen one way or another. (Thanks, Instagram.) 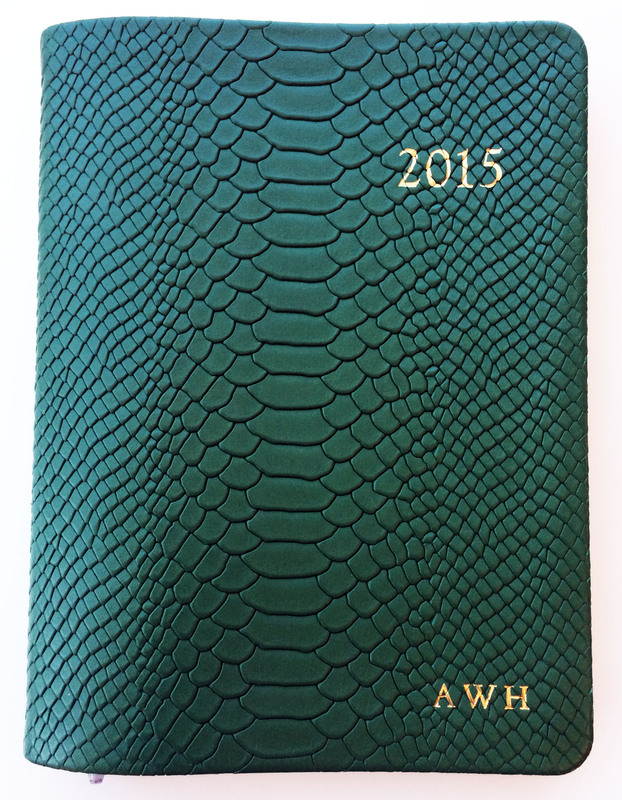 An aficionado of all things fashion and lifestyle, we knew Amy would have a fabulous planner to share with us. 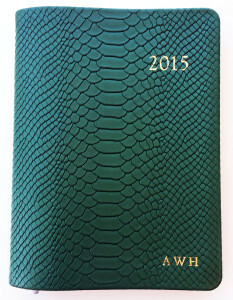 Enter the rich green (and appropriately monogrammed) GG New York 2015 Notebook. Amy, who first discovered the line after her grandmother recommended it, is now on her fifth. She’s a loyal fan and gets a new color every year. Though she says her mind often functions as her planner, she is now too busy to rely solely on brainpower. She calls Dallas Wardrobe her “never-ending school project,” and she has the workload to back it: conference calls, grinding through emails, scheduling twice-a-week photo shoots, and confirming brand promotions … and she still finds time to spin almost every morning! On Saturdays, she goes twice. Teach us your ways, Amy. How do you tackle an exceptionally busy month? Planning. You have to plan. If I know I’m going to be out of town, I plan. When I was overseas at the end of June, it was going to be 12 posts that I would miss. Who wants to bring a computer on their vacation? So five weeks before I left, we started shooting. I made sure everything was done beforehand and all the content had been created. The most important thing when I know I’m going to be busy is I just have to plan. I have to make myself continually create content to keep people coming back. What do you do when you simply need to take a break? I don’t think there’s such a thing. There is always a due date, and though no one is breathing down my back, it bothers me when there’s nothing up. When I want to relax, I usually go to a pool or spa. There’s always work to be done, but sometimes you just go, “I need an hour and a half. I’m going to go get some sunshine.” Don’t get me wrong. I take time for myself. If I need a facial, I get a facial. What’s your No. 1 live-or-die tip for organizing? I love lists. I make a lot of lists in the notes section of my phone. I make a daily list. There’s nothing better than being able to delete the note at the end of the day. You feel so accomplished. JACKIE VELING IS A D MAGAZINE EDITORIAL INTERN.